Are you trying to decide between recreational soccer and select soccer? 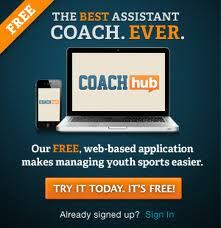 I am a D licensed soccer coach with years of experience coaching both recreational and select soccer teams. Here are the major differences between recreational and club select soccer. 1) Training Select soccer players typically get better training. Training is conducted by paid licensed coaches. However please note, select soccer does not automatically guarantee quality training. You need to know the credentials of the coach and / or trainer before you commit your money to a club. Ask the trainer if he / she has a license to coach or what experience he / she has? Recreational soccer is usually coached by volunteer parents who may participate in a short pre-season coaching clinic or given links to coaching tips on line. 2) Better players to compete with and against If you believe that your kid will only get better by playing with and against better players, then select is probably the right place for your child. However please note, select soccer does not automatically guarantee strong teammates and competition. Large regional select soccer clubs will typically have several levels within each age group, Premier (1st Division), 2nd division, 3rd division, etc. I can tell you that the 4th and 5th level teams in most clubs are not strong. If you looking to club soccer for stronger competition to challenge your kid you may actually find better competition in a recreational league verses the lower divisions of a select club. Why? Select typically requires a year round commitment and there are many good athletes who do not want to make that commitment because they want to play other sports too. These multi-sport athletes playing rec soccer are often better than the full time soccer players playing on a 4th or 5th division club team. 3) More Games The big difference between select and rec is the tournament schedule. A typical select team will play in a preseason, mid-season and post season tournament in addition to the regular season games. Recreational teams usually play in one single elimination tournament at the end of the season. A typical select tournament guarantees three games so a select team may play 6 to 9 more games per season than a rec team, but these extra games are completed in 2 or 3 weekends. Select soccer does not automatically mean more practice. Most clubs hold practices two times per week. Please note: There are several levels within select programs too, when kids get older the best kids may compete in ODP, CUP and Super Regional leagues. These are very serious leagues with lots of games, practices and travel. 4) Select soccer is a year-round commitment. Typically 20 games in the fall, 10 indoor games before Christmas, 10 indoor games after Christmas, 20 games in the spring. This is my biggest issue with soccer. If you want your kid to advance in soccer and play in HS, your child will most likely need to play on a select team year round from the age of 9 to high school. Why? Because that is what the competition for those coveted high school spots are doing. 5) Emphasis on winning - Good sportsmanship and fun are promoted in recreational leagues and players are guaranteed to play 50% of every game. All teams are randomly selected and there is no attempt to separate the better and experienced players from the new players. While good sportsmanship and fun are a goal for select soccer coaches too, select soccer is more competitive. They have tryouts and some players may be cut. Playing time is not guaranteed and there is a stronger emphasis on winning games. In our select league, there are eight teams in each division (Premier - first division, 2nd Division, 3rd Division, etc.) The top two teams in each division move up and the bottom two teams in each division move down. A club's status is based on how many teams they have in the upper divisions, so they emphasize winning. 6) Cost - Select soccer can cost anywhere from $600 per year to $2600 per year (even more for CUP). Recreational soccer costs about $70 per year. Hi stats dad, nice blog & good post. You have beautifully maintained it, you must try this website which really helps to increase your traffic. hope u have a wonderful day & awaiting for more new post. Keep Blogging! The issue we are having in our rec league for our 8yo daughter is that the quality of players and coaches is going down hill. Previously, we have been happy with the quality of the coaching and the sportsmanship and skill of the players. Sadly, the best coaches and players have moved out of the league into the clubs and the rec league is left with coaches who exist only to build a team around their daughter. The low skilled players do little more than commit yellow card fouls all game long and the refs call none of them. So, our high-skilled daughter is getting elbowed in the face and kicked in the shins all game and she is playing against teams that do nothing but have the their coach's daughter sit in front of the the goal waiting for her teammates to bring her the ball. We are going to try the club league out as they play a better level of soccer (more strategy and passing), the refs actually call fouls, and my daughter will be able to play against girls that will be challenging her with skill, not deliberate elbows in the face. It's unquestionably at the incentive for cash end of the travel packs for ladies showcase, as well. Every time you plan for a vacation, two important things always come into your mind when it comes to your expenses - your travel and hotel Tour Travel Hotels If you want to save money, it is essential to make an effort to find the best hotel rates. People who love to travel can take advantage of the discounts and packages offered by many hotels and airlines. In today's economic status, packers movers chinchwad is so expensive. It requires not only a long period of preparation, but as well as a big amount of money.